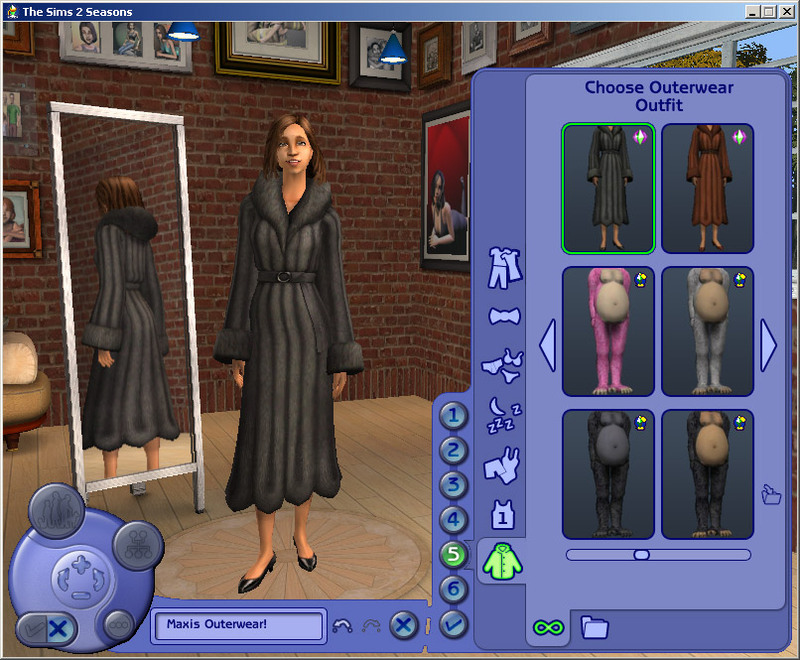 Oh Maxis. 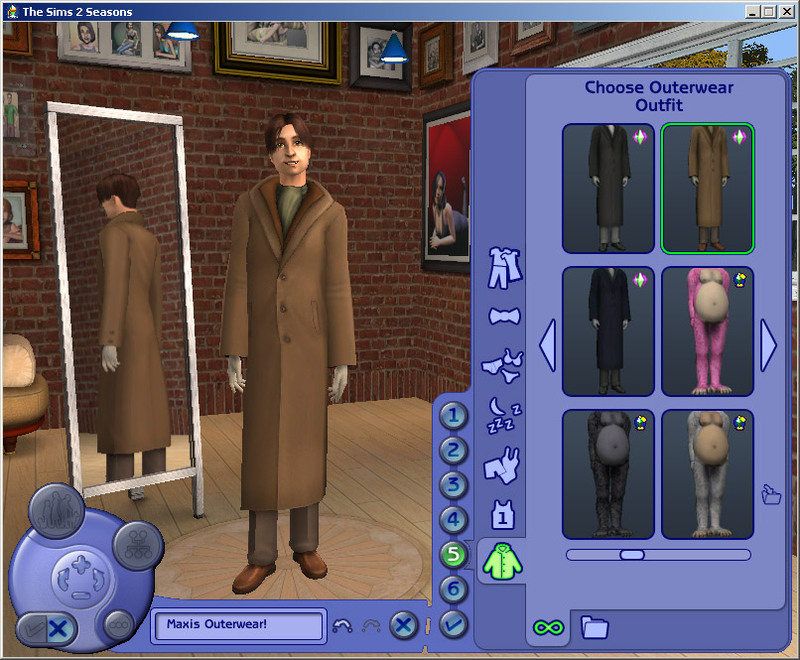 You put some nice coats in other EPs, then didn't convert them to Outerwear! So I did. Install them all or pick & choose which EPs you want. 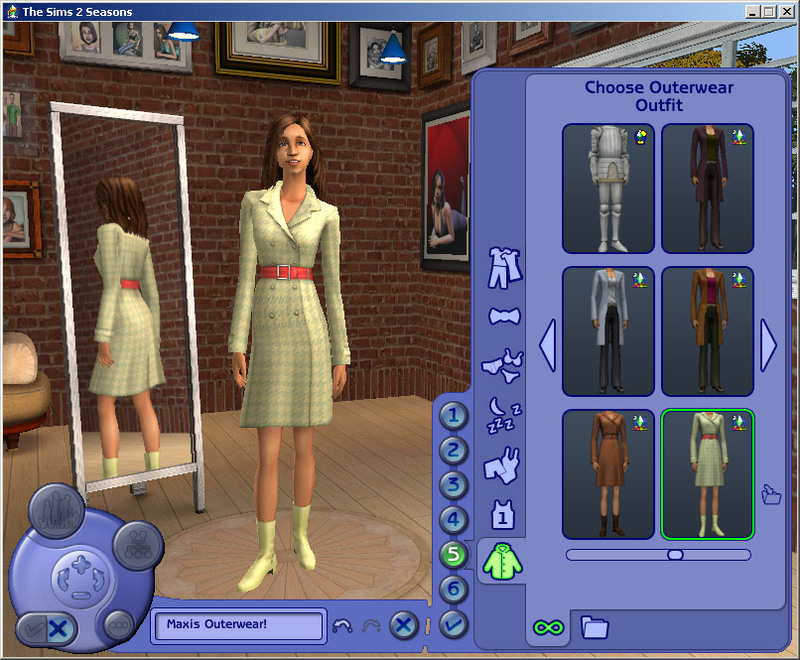 You'll need Seasons + the EP in the filename - these mods will not unlock the outfits if you don't have the EP they came from. 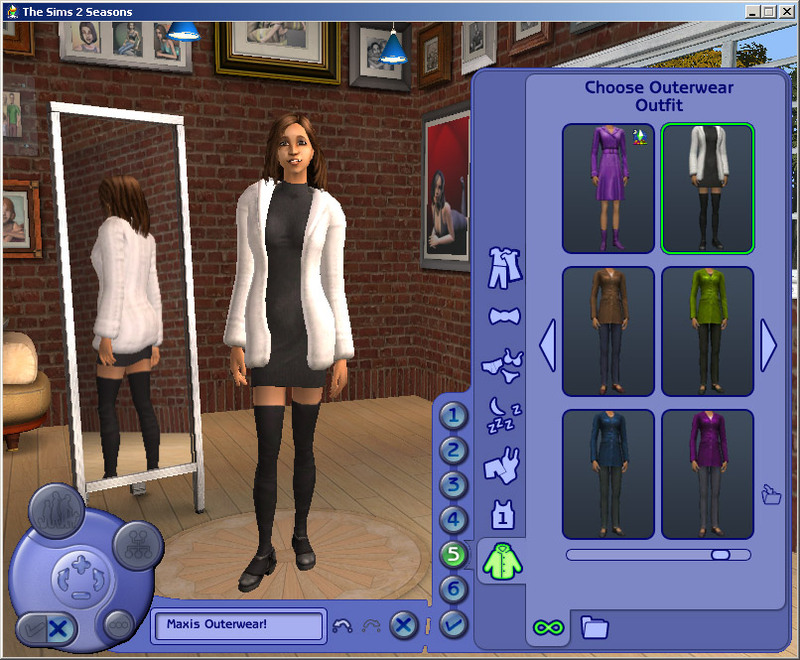 And they are mods, not clothing recolours - note the tiny filesizes. Hopefully the pictures are self explanatory. They don't show all the outfits but they show most of them. They're just Maxis clothes, you already know what they look like! You can put these files in your Downloads folder, but if you do, the delete button will be enabled in Body Shop. Do NOT delete them in Body Shop. Doing so may corrupt some of your game files. To remove the outfits from your Outerwear bin, delete my package files from your Downloads folder. If you don't trust yourself to not delete them in Body Shop, make a subfolder in the following location and put the files there instead of in your Downloads folder. This way the delete button will be disabled. 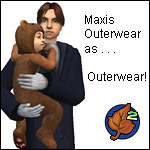 This issue is a side effect of Maxis enabling the delete button on their own Body Shop downloads, like the soccer clothes. It affects all unlocked clothing made this way and there is currently no other workaround. Big thanks to Cryotank and Jordi for their help finding and resolving the problem. 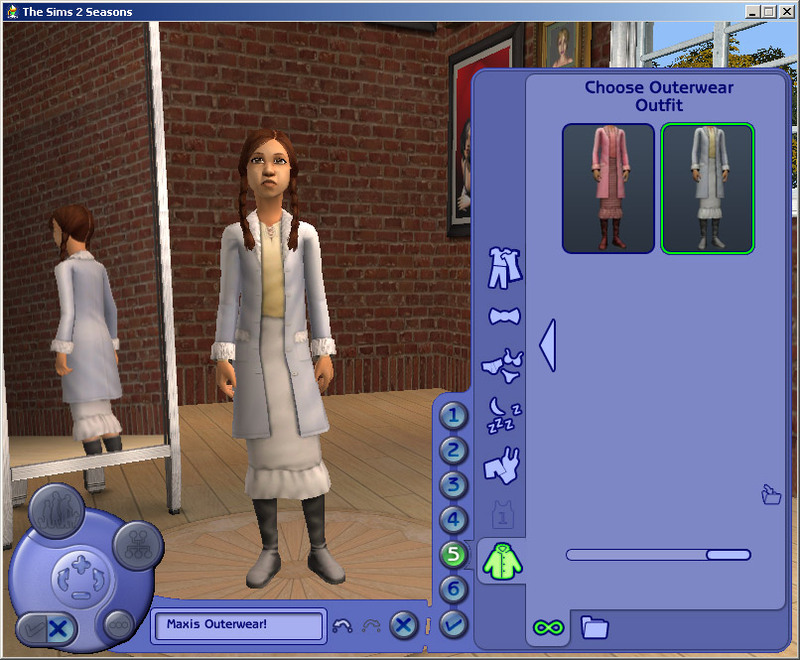 Fixed a bug that caused basegame clothes not to show up for Young Adults. Please redownload the "basegame" or "ALL" file if you have Uni. Big thanks to Lord Darcy for his help finding & fixing the issue! 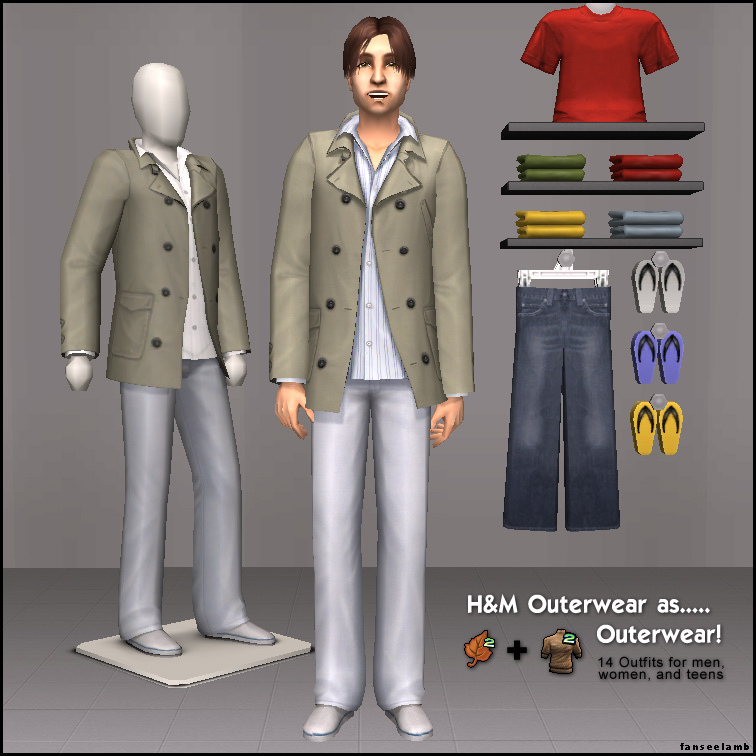 H&M Outerwear added. There are 8 for women, 3 for teen girls, and 3 for men. 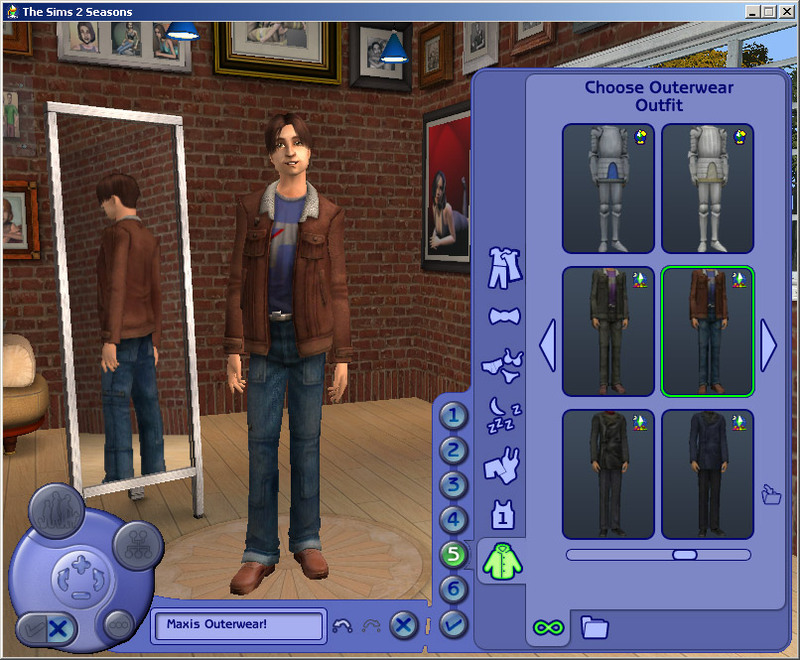 March 5, '07 Update: Added the University letterman jackets and enabled them for adults. Get the UNI (or ALL) file if you want those. They may not work if you also have Windkeeper's Unlocked University Outfits installed. Huge thanks to the creators of SimPE for making this possible, and to Windkeeper and others who have made similar mods - your work showed me that this type of thing could be done. 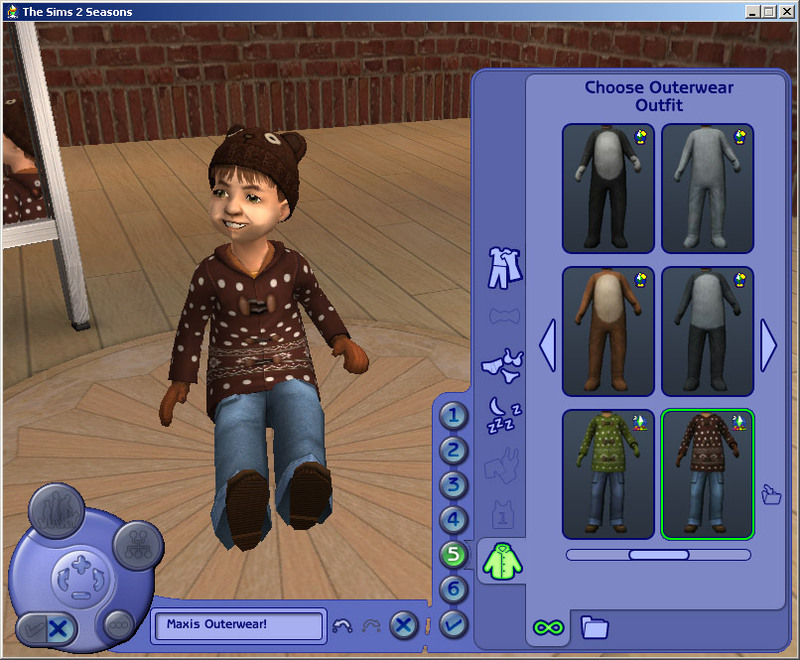 ETA: If you're looking for outfits I haven't included, try simsbaby's version at Insimenator. He chose a different selection than I did and has the Holiday Stuff clothes too. I will not be adding any Holiday or Family Fun Stuff items since I don't have those SPs. ETA 2: Holiday & Family Fun Stuff outerwear now available! Hop on over to knightguy82's thread for Dragons, Kimonos, and Santa Suits, oh my! 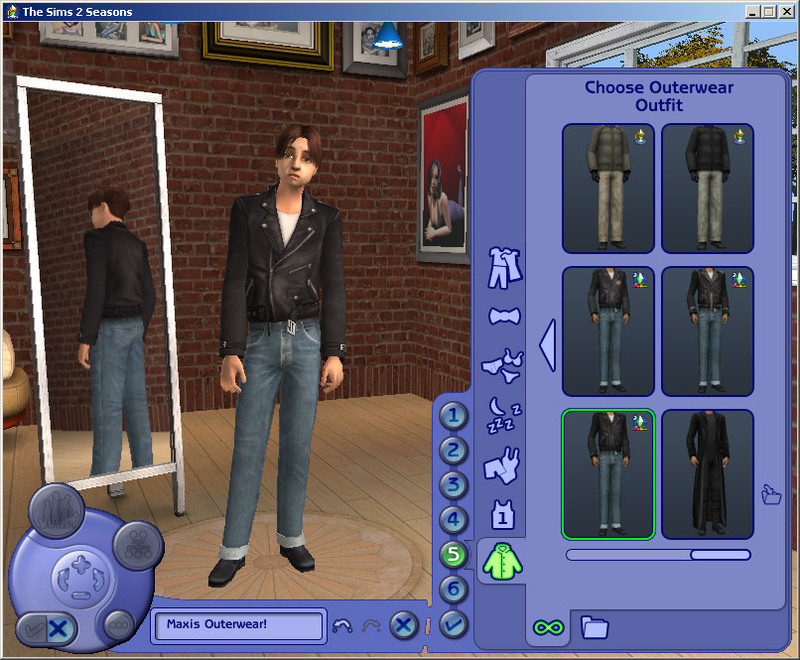 He's also unlocked the UNI fig leaf outfits for YA through Elders. They're perfect for plantsims. ETA 3: Apartment Life & Free Time outerwear now available too! Thanks again to knightguy82 for doing those.